Detectives investigating two sexual assaults in York are appealing for information from the public. The incidents took place in the area around North Street near to the Park Inn. One woman was sexually assaulted after leaving a city centre nightclub in the early hours of Thursday, 13 July 2017. Police are still investigating the exact circumstances of events surrounding the incident including the precise location of the attack. They are urging anyone who was in the area at the time to get in touch if they saw anything that may help the investigation. In a second incident, a woman was sexually assaulted as she walked along the riverside path between Bridge Street and the Park Inn. She ran off following the incident, which happened between 12.30 to 12.45am on Saturday, July 15 2017. Her attacker is described as of Asian appearance, in his 30s, and around 5ft 6ins to 5ft 7ins. He had a shaved head with a prominent hairline. He was wearing a dark jacket, dark trousers and white trainers and had a bike with white colouring. After the attack a man and woman, who police believe are not connected to the incident, walked past the victim near a walled garden area next to the Park Inn. Officers are keen to trace these people, as they believe they may have important information. Police are carrying out detailed investigations into both incidents, including reviewing CCTV from the area, and are working to establish whether the two incidents are related. Detective Chief Inspector Dave Ellis said: Both of these investigations are in their early stages and we’re currently exploring whether they are linked. We’re urging anyone who was in the area at the time and may have seen something suspicious, or has any other information about these incidents, to get in touch with police. Uniformed officers will be patrolling the area during the next few days as part of their usual duties and we are providing specialist support to the victims. 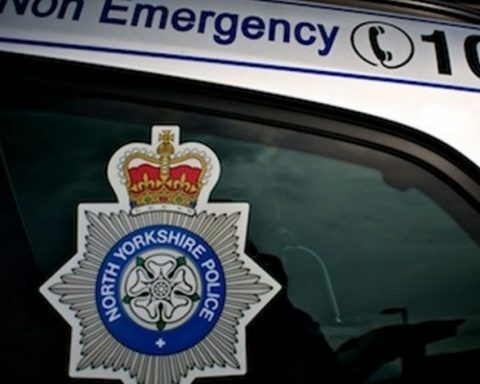 Anyone with information about either incident is urged to contact North Yorkshire Police on , select option 2 and ask for York Serious Crime Team. Please quote incident number 12170122739 when passing on information about the first incident or 12170124262 when passing on information about the second.